Mosaic™ Syringes and Singles - Products - Procedure - Ultradent Products, Inc.
Mosaic universal composite balances beauty and performance for lasting, lifelike restorations. Mosaic composite can be used for all restorative purposes: basic or complex. Its well-balanced nanohybrid formula produces restorations of the highest quality. ​Mosaic composite is a light-cured, bis-GMA-based universal restorative composite used for both anterior and posterior restorations. ​Mosaic composite feathers to a thin edge without crumbling or tearing. The consistency facilitates complete control and maintenance of detail. ​Mosaic composite’s fluorescence mimics that of natural dentin and enamel. ​Unlike the competitor, Mosaic composite retains gloss even after 10,000 brushing cycles. ​Class IV esthetic restoration using Mosaic composite shades: A4, A3, A2 and A1 from cervical to incisal. Enamel White and Opaque White on the incisal edge. Photos courtesy of Dr. Rafael Beolchi. ​​Class II restoration using the Peak® Universal Bond adhesive system with Mosaic composite shades A5 and Enamel Neutral. Photos courtesy of Dr. Gaetano Paolone. ​Learn more about Mosaic Universal Composite. A natural-looking result is critical in the anterior region, but shade matching with a composite resin is only part of the equation. The opacity and translucency of the restorative material is just as important as the interplay of light on the restoration affects the final esthetics. This case demonstrates how opaque and translucent Mosaic composite shades combine to mimic the optical properties of the surrounding dentition, creating a highly esthetic result. Case courtesy of Dr. Gaetano Paolone, San Raffaele University, Milan Italy. Various shades of Mosaic composite are layered in different combinations to create four shade results: Bleach, Young, Adult, and Senior. This case shows the step-by-step process, from preparation to polish, to complete a posterior restoration. Preparation includes the use of Seek® caries indicator to identify demineralized dentin that requires removal. The Peak® adhesive system is used with proper application techniques, and the restoration is light cured with the recommended curing times and the VALO® curing light. The tooth anatomy is reconstructed with PermaFlo® flowable composite as the first layer, and then Mosaic composite shades A2 and Enamel Neutral are used to give an esthetic, natural-looking result. Jiffy® polishers are then used to give the restoration a smooth, highly polished surface. Mosaic composite provides optimal handling for total control during manipulation. It will not pull, tug, or tear, and it won’t stick to instruments. ​Mosaic universal composite’s consistency is ideally suited for efficiently adapting both anterior and posterior restorations. 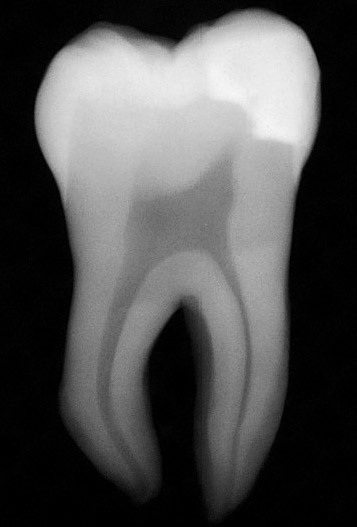 Once the anatomy of the tooth is formed, the material retains its shape and does not slump. ​​​​​​​​​Mosaic composite was designed with a balance of fillers and resins to create optimized strength, flexibility, and toughness for both anterior and posterior restorations. The working time for Mosaic composite is between 3:30 and 7:30 depending on the power of the light. Mosaic composite offers 20 shade options to produce predictable, natural results. The slightly translucent dentin shades provide a chameleon effect which enables only a single shade to be used in smaller restorations. The enamel shades give variable opacity to allow the use of a single enamel shade to be used on smaller chips or defects of anterior teeth. ​​​​Mosaic composite provides wear resistance on par with the natural wear of enamel to create a resistant restoration while not being overly abrasive to opposing dentition. ​The proprietary dispersion of the nanofillers in Mosaic composite allows for a high polish and long-term gloss retention without sacrificing mechanical properties suited for high stress-bearing restorations. This allows the worn surfaces to produce smaller defects and provide better gloss retention after being subject to abrasion. The radiopacity of Mosaic composite is the equivalent of or greater than 2 mm of aluminum in both dentin and enamel shades and can be easily detected on a radiograph. ​​Mosaic universal composite has two dispensing options: a 4 g syringe or a .2 g unit dose compule. A unique and novel KleenSleeve™ protects composite from picking up contamination from the black outer syringe barrel. The syringe features a unique, innovative design with a smooth contoured handle and barrel to allow for easy cleaning while still being easy to grip and identify. ​Inner dentin body layer includes the basic hue of the exposed dentin. Apply basic hue (A3 shown) and create mamelons using a carver. ​Cover body and extend enamel edge with appropriate enamel shade (Enamel Neutral shown). ​Make final adjustments with multifluted finishing burs. Use Jiffy® cups, points, and disks for smoothing. ​Very nice opaque dentins, beautiful enamel shades, and a great handling. This is what I like in Mosaic! Love the way the material handles and I love the realistic and beautiful look…Mosaic composite is a WINNER! Can’t wait to do more cases! ​"I was very impressed with how Mosaic handled. I love the consistency. It was also very easy to place, sculpt, and condense." ​It holds it shape, it holds its shade value, and the integrity of the material is great. What is the filler composition for Mosaic composite? ​The details related to filler composition are proprietary; Mosaic composite contains zirconia-silica glass ceramic and 20 nanometer silica. The filler load is 68% by volume for dentin shades and 56% for enamel shades. What kind of resin is used in Mosaic composite? ​Mosaic composite is a Bis-GMA-based composite. Is Mosaic compatible with other bonding systems? ​Yes, Mosaic composite is methacrylate-based and compatible with other resin bonding systems. For optimal results, we recommend bonding with the Peak® Adhesive System. Is it possible to layer Mosaic composite in greater than 2 mm increments? ​For adequate polymerization, it is important than Mosaic composite is layered in increments of 2 mm or less. What are the recommended polishing steps? ​We recommend the Jiffy® composite finishing line for shaping and polishing. Use the green (coarse), yellow (medium), and then white (fine) Jiffy polishers for quick shaping. The blue (ultrafine) Jiffy® HiShine™ is an optional polishing step to provide an extra smooth and a highly polished finish. If extra shine is desired, we recommend using the Jiffy® Goat Hair Brush with Ultradent® Diamond Polish Mint. Do the Mosaic Singles require a special dispensing gun? ​Mosaic Singles can be dispensed using the Ultradent® Composite Gun or any standard composite dispensing gun.